This week's new PSN content is available in North America, so here's what's on offer. Vita owners, you get add-on content and Skype but no games — sorry. Escape to the biggest, brightest Bejeweled. Discover all-new ways to play the world’s number 1 puzzle game! Want a game you can really sink your teeth into? Swim and swerve through underwater worlds and chow down on smaller fish as you chomp your way to ocean supremacy. Episode one of a five-part game series set in the same universe as Robert Kirkman’s award-winning series. Play as Lee Everett, a convicted criminal, who has been given a second chance at life in a world devastated by the undead. Season pass for The Walking Dead. Includes episodes 1 – 5. Survive the ancient temples of Zuma, the critically acclaimed action-puzzler from PopCap! Deep in the jungle lie hidden temples bursting with traps and trickery, and it’s up to you to uncover their treasures. Download and play Hot Shots Golf: Out of Bounds with the complete DLC collection bundled together for the first time. Tee off as Kratos from God of War and dominate the links with the Blades of Chaos, or set new grounds with Sackboy through the Golfasaurus-Rex B.C.C. course. In Battlefield 3, players will step into the role of the elite U.S. Marines. They will experience heart-pounding single player missions and competitive multiplayer action ranging across diverse locations from around the globe. This is Grease for the New Generation, inspired by the 50′s and danced by you! Shake out your hair, turn up your style and release your inner rock and roll party queen. Set against the backdrop of the Old World, two adventurers—both seasoned warriors—will quest across a Western Europe ablaze with the turmoil of a newly begun Fourth Crusade. Dragon’s Dogma demo. Try your hand at 2 quests and customize your own characters who can be imported into the full game! Feel the burden of cutting another person down in the latest chapter of the acclaimed action series. Jump into the action as the thrilling battle unfolds in the streets of London. This demo also lets you try out two downloadable weapons—the Falcon’s Talons and the Eclipse Scythe! Download the demo to get a taste of true adventure horror. Play as Lee Everett, a convicted criminal, who has been given a second chance at life in a world devastated by the undead. Unlock the full episode or get The Walking Dead Season Pass (Includes an exclusive premium theme and all 5 episodes)! Asura’s Wrath comes to its epic four episode conclusion in “Part IV: Nirvana”! Get the EA SPORTS UEFA EURO 2012 expansion pack for FIFA 12! Play the UEFA EURO 2012 with authentic teams and players. Build your dream team and dominate Europe in the brand new Expedition mode. Play challenges based off the real tournament. Compete online for glory in the Online UEFA EURO 2012. The Heavy Assault Pack features 171 different early unlock of parts from within the game. The player will gain level-locked parts from early on to gain an upper hand in battle. The same parts will also be unlocked for purchase within the game for players to acquire the same parts to level at will. Download today and let the battle begin! The Recon Pack features 173 different early unlock of parts from within the game. The player will gain level-locked parts from early on to gain an upper hand in battle. The same parts will also be unlocked for purchase within the game for players to acquire the same parts to level at will. Download today and let the battle begin! New DLC for ELEVATOR ACTION DELUXE has arrived! This completely FREE update gives you five new stages to explore and master. Use all your tricks and skills to survive the runaway elevator! Your status as a superspy is being put to the test. Will you rise to the challenge? New downloadable content for the toughest ninja. Unlock the Ultimate Ninja play style to face the hardest gameplay challenges. Test your combat skills in two new Ultimate Trials. Enhance your online ninja with 6 new customization items. Prove your shinobi skills with the Ultimate Ninja Pack! New costumes will be available for selection for 31 characters. The new costumes are for all characters from “Samurai 1″ and “Samurai 2″, and for Gracia and Katsuie Shibata only from “Samurai 3″. New wallpapers will be available for all 43 characters from “Samurai 1″, “Samurai 2″ and “Samurai 3″. Add a new machine to your game with the manufacturer KAMATA’s RC410! *This content is available for free to users who have purchased RIDGE RACER Silver Pass. Check your current contents to avoid double purchasing. Add a new course to your game with Oceanfront Cruise Way! Finish this stunning evening seaside course in the fastest time possible! Compatible with PlayStation Vita system only. Stay in touch with friends and family with Skype on your PS Vita system. 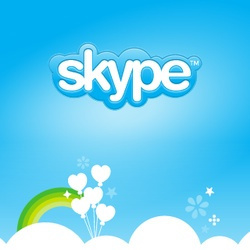 Enjoy free video and voice calls to anyone else on Skype, and make calls to mobiles and landlines anywhere in the world. You can connect to Skype on AT&T’s Mobile 3G Broadband Network. We recommend using a Wi-Fi connection; your operator may charge you extra for using your data connection. Call of Duty: Modern Warfare 3 – Collection 1 Launch Trailer. Join coal miner Parker and help him take down Mars’ oppressive mining corporation and liberate the planet in this classic first person shooter. Pummel opponents as your favorite mythological monster in this classic 2D fighting game. Download Darkstalkers 3 today! That's all for this week, folks. What will you be buying? Nothing for me this week, though I am short on cash at the moment anyway. Huzzah! I'll be downloading the DD demo as soon as it hits the EU store. Love that your progress carries over to the full game. I was really looking forward to the Dragon's Dogma demo but it wasn't for me. Too much chaos with everybody talking to me at once (I've never played an MMO before) and the lack of a lock-on wasn't any better now than in Monster Hunter Tri. Actually it was worse with all the screen clutter. Oh well. I'm also 2/3 thru Asura's Wrath and really enjoying it but I can't pay $6.99 for the game ending when I rented the game for $1. Plus those other 2 half chapters are $1.49 each? The game just came out. Maybe I can find them all on Youtube. Oh, and I don't mind all the watching and lack of playing - it's actually better than MGS4 - but the fighting itself seems repetitive. And did I really need to fight a giant turtle in back-to-back chapters? Maybe the sequel will add combos and more diversity. Maybe for $30 I'll buy a GH version that includes all the DL. Oh, and the free Rune Raiders Qore Arqade game is better than almost all minis I've ever played. The other games killed an hour but I wouldn't go back to them. Well maybe Hack for Veronica to ridicule me some more. @rjejr In the full game you can remove screen clutter and turn down/off NPC chatter! I'd like to try Bejeweled 3 but not for $14.99, but Darkstalkers 3 and Ikari III are right up my alley. Wait... why are Zuma and Feeding Frenzy 2 in this update? Weren't they already out for a year or two on PSN?